I like Outlook 2003 a lot, mostly because it was the client that liberated users from the tyranny of extended synchronization sessions, often over a spotty dial-up connection, just to collect some new messages. In the bad old days pre-Outlook 2003, receiving a graphic-intense presentation from our friends in marketing was always guaranteed to block Outlook’s pathetic attempts to download new mail and synchronize the Inbox. On the upside, you always knew that you could set off a synchronization session and then go to get coffee in the almost certain knowledge that new mail would be waiting for you when you returned some 15 minutes later… Ah, the versions of Exchange and Outlook prior to the 2003 releases truly operated on a slower pace. Outlook 2003 was game-changing because it introduced a number of network smarts including drizzle-mode synchronization and on-the-wire compression. Instead of just the “critical” folders being synchronized to the OST, Outlook 2003 was able to create replica copies of every single folder in the mailbox and synchronize them gradually as network conditions allowed. Outgoing messages had their own high-priority thread that got them to the server and generally it all worked very nicely. Outlook 2003 was also the first version to support RPC-over-HTTP, the feature that is now known as “Outlook Anywhere”. Before this, you had to connect and then create a VPN link to be able to connect Outlook to Exchange and VPNs had the tendency to fail for the most obscure reasons. Being able to piggy-back on any old network connection to collect email was a tremendous step forward for users, even if administrators had to conduct various secret rituals to convince Exchange 2003 to permit RPC-over-HTTP connections. Over the long term, this feature was even more important than enhanced synchronization because it laid the foundation for connections over the Internet to services such as BPOS (and soon, Office 365). When Microsoft released Exchange 2010 it rapidly became clear that Outlook 2003 had run out of steam. This isn’t altogether surprising given the seven years gap between the two product releases and the growth in server functionality with which clients had to cope. The introduction of retention policies and tags, for instance, requires a lot of additional user interface that clients have to provide. Outlook 2003 depends on UDP (User Datagram Protocol) to notify the user that new messages have arrived. Exchange 2010 dropped support of UDP, which meant that Outlook 2003 had to revert to its backup polling mechanism to detect new messages. The problem is that Outlook then seems to be “slow” at reporting the arrival of new messages. It’s really just a perception issue but if a user has multiple clients, they’ll notice that new messages show up on their BlackBerry or other device faster than in Outlook 2003. Microsoft has committed to fix the problem in Exchange 2010 SP1 RU3, expected in a couple of weeks. Exchange 2010 made encrypted RPCs the default to connect MAPI clients to Exchange via Client Access Servers (CAS). Outlook 2003 does not encrypt RPCs by default (newer clients do), so administrators had to either disable RPC encryption on the CAS or switch it on for all Outlook 2003 clients. Microsoft changed Exchange 2010 SP1 so that the CAS does not enforce RPC encryption by default – but only for newly installed servers. Other issues exist between Outlook 2003 and Exchange 2010 and you can find a good list on the EHLO blog. One of the more interesting problems is that Exchange 2010 only allows Outlook 2003 to publish two months of future free and busy data. This may not be an issue for your organization, but it is for companies that plan meetings well in advance. If you’re in this category, you can talk to Microsoft support to discover some changes that can be made to increase the publishing window. Some Exchange 2010 features such as MailTips and archive mailboxes will never be made available to Outlook 2003 clients. However, seeing that Outlook 2003 users have never accessed archive mailboxes nor been nagged about the number of addresses on a message, they will hardly miss the enhanced user interface available to Outlook 2010 clients. Of course, Microsoft recently updated Outlook 2007 to allow access to archive mailboxes but the update doesn’t provide the additional user interface required to features such as MailTips, viewing retention tags, and so on. This underlines the difficulty for engineering groups in touching user interface components when questions such as internationalization and translation increases the cost of the exercise quite dramatically. Keep the client population intact and move to Exchange 2007 instead. Exchange 2007 supports Outlook 2003 “better” than Exchange 2010 does currently. The downside is that you don’t get the chance to use the new functionality of Exchange 2010. Some of the new features, such as the Database Availability Group, are highly desirable. Some, such as MailTips, are useful if less compelling. Migrate to Exchange 2010 and accept that older clients will have some issues. This is a good solution if you have a long-term plan to deploy newer clients and have the knowledge that you’ll eventually have an integrated environment. For example, you might decide to deploy Exchange 2010 in the next few months followed by a desktop refresh program that provides Windows 7 and Office 2010 to users. Bite the bullet and migrate to Exchange 2010 and Outlook 2010. Lots of work and difficult to plan and manage in large environments but reasonably attainable in smaller companies. Of course, there’s always the option to migrate to Office 365 when Microsoft makes it fully available later this year. In this scenario, you will have to deploy Outlook 2010 anyway because Microsoft won’t support Outlook 2003 clients connecting to Office 365. Just like me, Outlook 2003 has aged. I get away with “salt-and-pepper” hair and a little extra weight, but it’s a fact of technology life that all products have a lifetime and unlike elderly technologists, software doesn’t gain an air of gravitas (perhaps!) as they age. Both of us tend to sag, but that’s not important right now. Outlook 2003 was great when it first appeared and it has rendered sterling service ever since. It’s now reaching – or has reached – the point where Outlook 2003 should be high on the list of suitable clients for Exchange 2010 and no matter how many patch jobs Microsoft does in the future, there is no way that Outlook 2003 will ever reach the heights it once had as an Exchange client. 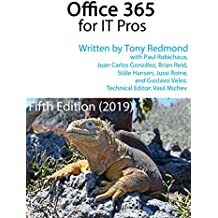 For more information about client options for Exchange 2010, see chapter 10 of Microsoft Exchange Server 2010 Inside Out , also available at Amazon.co.uk . The book is also available in a Kindle edition . Other e-book formats for the book are available from the O’Reilly web site. This entry was posted in Exchange, Outlook and tagged Exchange 2003, Exchange 2010, Office 365, Outlook 2003, Outlook 2010, Outlook Anywhere. Bookmark the permalink.